"A heavyweight out of the box, the RMB-1585 is not only a heavyweight contender but, perhaps, the next heavyweight champion." 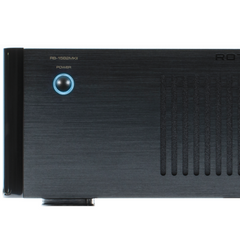 Check out CNet's breakdown of our new RDD-1580 DAC's features. Readers of CNet's 'The Audiophiliac' column know that what Steve says, goes. Witch Doctor Awards the RA-11 Product of the Year 2013! "One of those rare killer products that should make the competition wonder…"
If you're new to hi-fi, get your head around it with this short guide. The first question you will face when assembling a home audio or theatre system. Understand the benefits of Class D amplifiers and pulse width modulation with this handy explanation. Two new multichannel power amps coming soon! Our decades of experience in Class AB amplification are finally being brought to home theatre power amps!